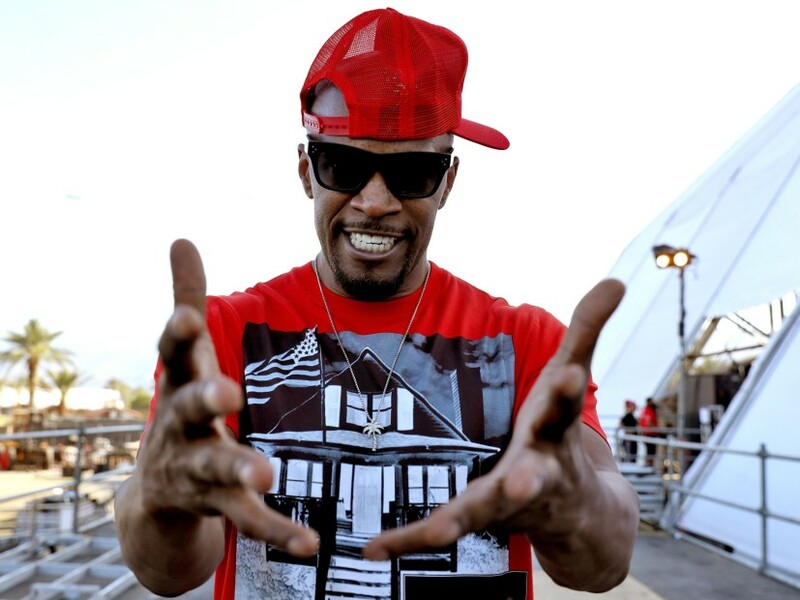 The name Jamie Foxx has become uniquely synonymous with not only all things entertainment, but also all things great entertainment. Which is why hosting the 2018 BET Awards made perfect sense, especially to him. “It’s sort of like doing stand up. There’s always going to be people in the audience that you know, because I’ve known these guys, I know almost everybody that’s in the audience,” Foxx admits, downplaying any nerves involved with such a highly visible enlistment. Come with us, 'cause none of that nonsense is happening here. Let the 2018 #BETAwards hosted by @iamJamieFoxx revitalize your spirit TOMORROW at 8/7c. And what a (calendar) year it’s been since 2017’s event. Foxx cites blockbuster films like Black Panther, Get Out and Jumanji to the rise of superstars like Cardi B as a prime reason to celebrate more than ever (“it’s toast as opposed to roast,” he says of his intended jokes) and his recruitment is 100 percent his doing. Foxx continues, “When you have certain shows where there’s really not a lot of things it makes it hard on the host. But I mean, how many great jokes and great acknowledgements are there in just Black Panther? The fact that people think that Wakanda is a real place. “Of all the hosting that I’ve done in the past, I mean 30 years of hosting, some are different. Some you have to go away and really come up with a monologue. But with this, it’s musical. So, your music is going speak you know for … And, it’s basically, when I went into BET, I already had the three-minute monologue. From Grammy Awards to a huge Oscar win for 2004’s biopic Ray, Foxx’s still-thriving career is already decorated enough for him to claim legend status for the rest of his days. Yet, he still vividly remembers when his name didn’t hold much weight in Tinseltown and he had to hustle just like your favorite Instagram comedian. And then there was a dose of reality that even stand-up wasn’t a given even with a bit of celebrity to boot. It was then Foxx took it upon himself to perform jokes for U.S. military troops in Okinawa and vowed never to let his head swell to the point he couldn’t fit in the door. With upcoming and inevitable winning projects like Todd McFarlane’s Spawn, his own slapstick comedy All-Star Weekend, potentially a new album (“I still gotta get that classic album,” he admits) and of course, the 2018 BET Awards, fans will look forward to seeing Foxx continue to do what he does best — flourish. Catch Jamie Foxx on the 2018 BET Awards tonight at 8 pm EST / 5 pm PST, on BET of course.